I’ve always found the human relationship to hair interesting. Everyone has experienced the feeling of being nonsensically cranky over something as superficially silly as a bad hair day. Except for the fact that bad hair days or bad hair experiences don’t feel superficially silly—they feel scary. And while the former is temporary—nothing a good cleanse, condition, and second go-round with the hair dryer can’t fix, if you’ve ever experienced a disastrous hair experience (i.e., a major cut or color gone awry), I don’t have to defend or describe the trauma involved. Yes, I realize “trauma” is a strong word and things like our health, safety, voice, and well-being are much more in important in the grand scheme of this thing called life. But when you’re robbed of a quality that contributes to your inherent sense of confidence and identity, I don’t think that’s an influence of power to underestimate. We might not need a head of hair to put one foot in front of the other each day physically. But what about mentally? I often joke that I was emotionally scarred for life when I had the majority of my hair bleached off my head six years ago, but to be honest, I’m not entirely kidding. In the days and weeks afterward, I was so distraught, embarrassed, and just plain crushed, I almost wasn’t able to get out of bed in the morning. For months, I couldn’t look people in the eye for fear of what I thought they saw. I automatically assumed people were judging my thin, frayed strands, and I all but gave up on the idea of a crush developing any reciprocating feelings. For up to a year afterward, I refused to have my picture taken (thus why I don’t have any “right after” photos) go near a salon, or touch my hair with any kind of heat. And though part of me feels like a jerk for being so self-conscious, part of me also thinks it’s how we’re wired. Wired biologically or societally—I’m not sure—but wired nonetheless. So, here we are. It’s been five years since “the bleach apocalypse of 2013,” and about two years since I detailed the experience while freelancing for Byrdie. Which begs the questions: Why am I still talking about it? As I happily reported in my initial article, I’ve slowly but surely nursed my hair back to health and I haven’t had a harrowing salon session since. Yet to this day, I still have some aesthetic PTSD symptoms from the ordeal (yes, still), and I receive DM’s and Facebook messages on a daily basis from people who have read my story and are in the exact panic-stricken position I was five years ago. I still stand by every product and tip I recommended before, but when people send me paragraphs of questions based on their individualized disaster, most of the time, I don’t feel like I have the comprehensive knowledge or expertise to respond. I’ve received so much grateful feedback from readers who have said that story has helped them salvage their own bleach blonde disaster, but it’s been a few years. My hair is healthier, but it’s still had some ups and downs. Plus, now that I’m a full-time editor for Byrdie and have access to some of the best products, treatments, and colorists in the business, I thought a sequel was in order: The comprehensive tip and product sheet I wish I had had six years ago—and an update on my current hair situation. So naturally, I booked an appointment with celebrity colorist Tabitha Dueñas (aka my colorist soulmate I met years ago when I was an intern at Byrdie) at West Hollywood’s Nine Zero One Salon, which caters to such blonde beauties as Julianne Hough and Emma Roberts—ironically, the same women who served as my inspiration pre-bleach apocalypse. And since Dueñas has successfully gifted me with the Julianne Hough–esque baby blonde strands of my dreams (sans any damage), who better to ask advice? 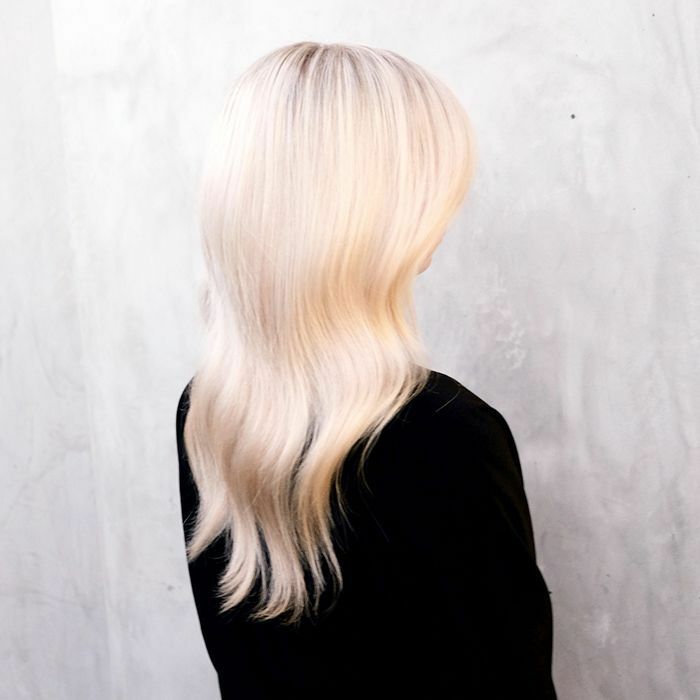 Ahead are the exact products, tips, and treatment schedules to take care of blonde hair—whether you’re just hoping to maintain your blonde hair’s integrity or you’re trying to bring it back from the dead post-apocalypse. When it comes to recovering or maintaining the integrity of blonde hair, finding a happy and healthy medium between protein and moisture is the name of the game. It’s what I relied on back in 2013, and if you took a peek into my current shower situation, you’d see it’s still my M.O. To meet my hydration needs, I’ve been using Verb’s Hydrating Shampoo and Conditioner for a few months now, and I can honestly say it’s the best I’ve tried when it comes to delivering the nourishment and hydration my bleached strands crave without the heavily coated, limp feel of so many other shampoos and conditioners. I still think Bumble and Bumble’s Creme de Coco ($26) is great if you’re in dire need of moisture (as I was back in 2013), but after using it for a few months and restoring the moisture levels to my strands, it became too intense of a formula for my fine texture. 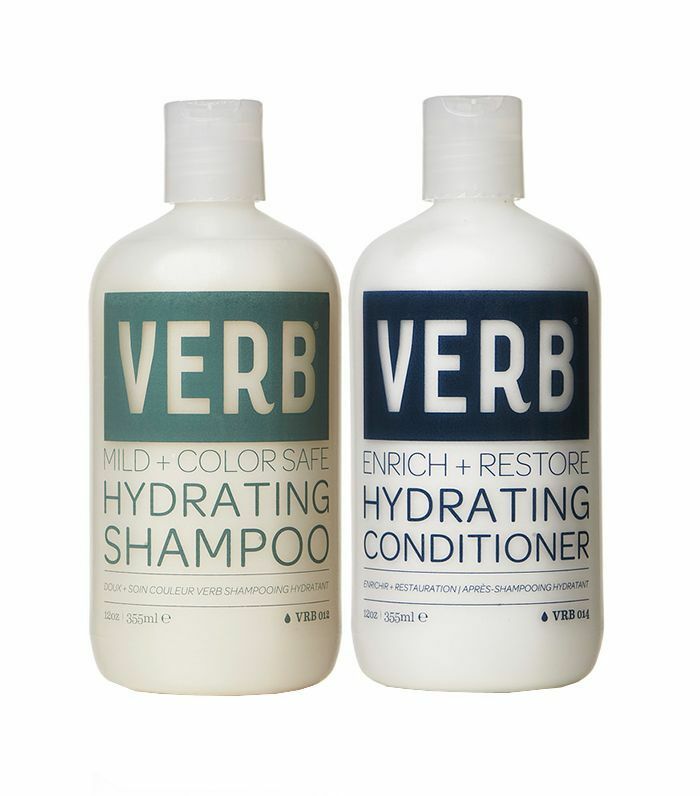 This option from Verb is a happy medium and is also paraben- and sulfate-free. And if you’re willing to make a bit of a splurge, Dueñas also recommends Oribe’s Beautiful Color Shampoo ($44) for maximum moisture. Truth be told, I’ve actually transitioned my hair from heavy protein shampoos and conditioners purely because my hair no longer needs that level of recovery. Yes, it still needs protein, as I still highlight my hair, but now I’m at the point where I can get that supplementation through my leave-in and weekly mask routines (no worries, we’ll get there in a second). However, if your hair is in a place where it’s severely damaged, incorporating a protein-rich shampoo and conditioner will be vital. Again, do as Dueñas recommends and alternate with a hydrating shampoo as well. 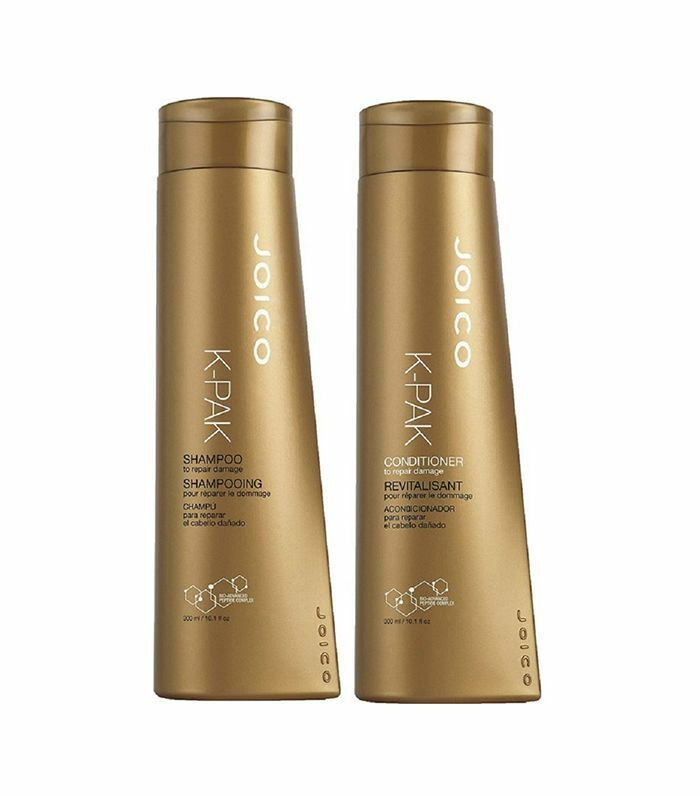 For maximum recovery, she likes Joico’s K-Pak duo, which specifically targets the damaged areas within the hair cuticle to replenish lost elasticity, strength, and shine. Plus, it boasts an all-star ingredient list of antioxidants, peptides, keratin silicone, vitamin E, and aloe vera. Not only is it hard to keep blonde hair healthy, but it’s also difficult to stave off that inevitable brassiness. If you’re on major damage control, a purple shampoo isn’t a must, but if your blonde hair is on the healthier side and you’re looking to maintain the tone as much as possible post-salon visit, consider adding a purple shampoo to the mix. “Purple shampoo can actually change the color of your blonde if you use it too often or too soon after your color session since hair will be especially porous and absorbent. If you only wash your hair a couple times a week, I recommend waiting two weeks before incorporating a purple shampoo to preserve your tone. Then only use it every few washes,” notes Dueñas. 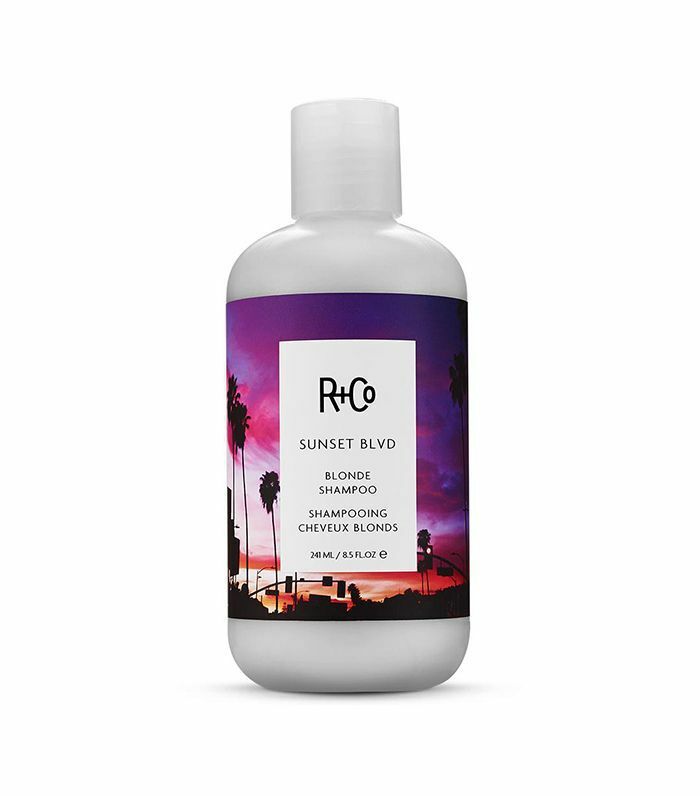 Having tried and tested a large portion of the purple shampoos and conditioners on the market, I come back to R+Co’s again and again. Not only does it have a light, silvery lavender color (as opposed to something similar to Grape Koolaid), but it also features a shine-enhancing coconut cleanser, which keeps locks glossy and soft. 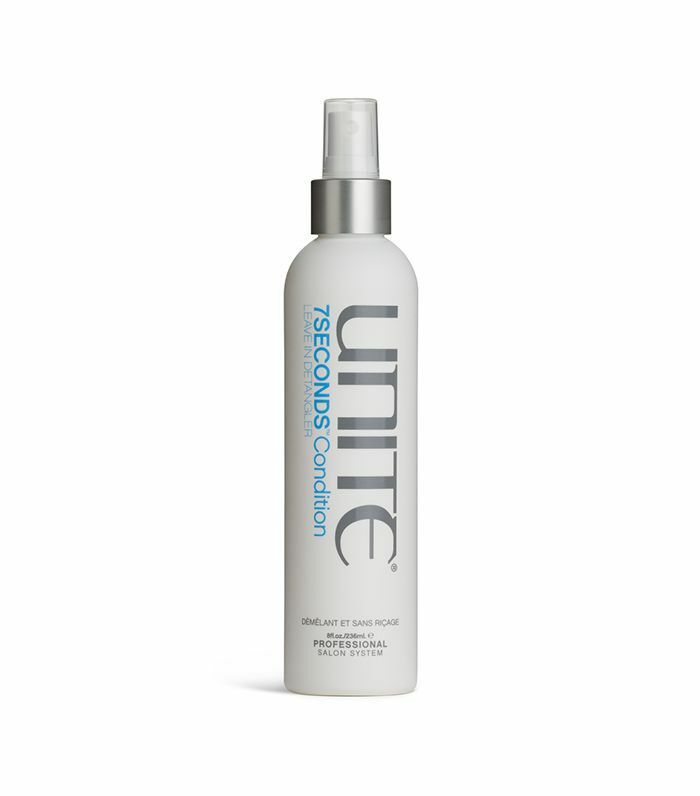 Unite’s Blonda Shampoo ($29) is another great option and is approved by Dueñas. Now that my has my hair has come back to life, (albeit it always was and will be on the finer side of the spectrum), I make sure to incorporate a quality volumizing shampoo and conditioner as needed. It’s certainly not something you need to include if the main goal at the moment is to stop breakage and damage, but now that my hair is in a better place, I’ll use a volumizing duo before a night out or just when I feel like my hair could use a boost. 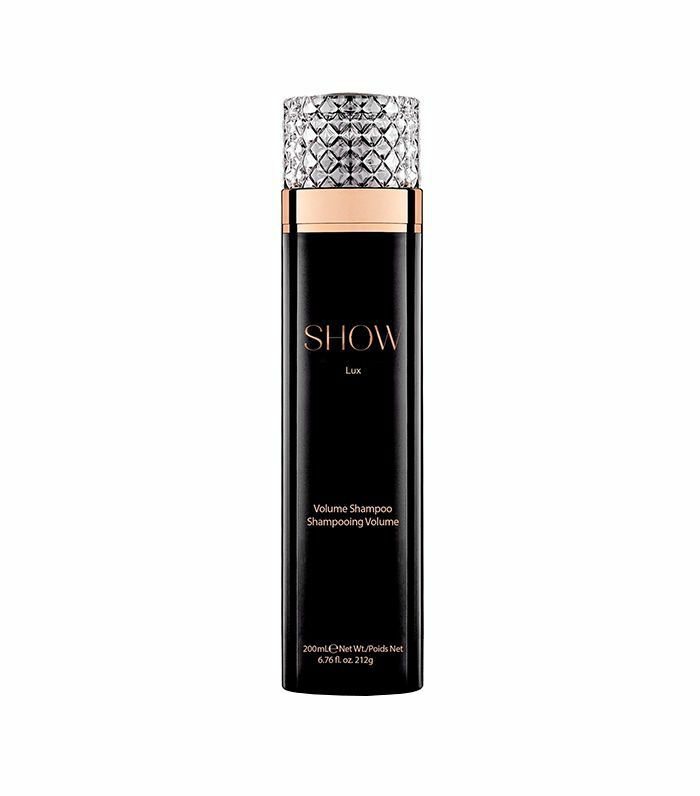 This one by Show is a game changer, and it’s one of the only volumizing formulas I’ve found that maintains the integrity and health of my hair while maximizing body and fullness. In my previous article, I mentioned going into the salon and getting both moisturizing and protein treatments. I still think this can be a helpful step following a damaging color process, but as Dueñas points out, at-home treatments and masks are so high quality these days that going into the salon might not be completely necessary. Instead, she recommends asking your stylist to use Olaplex during the color process (No. 1 and No. 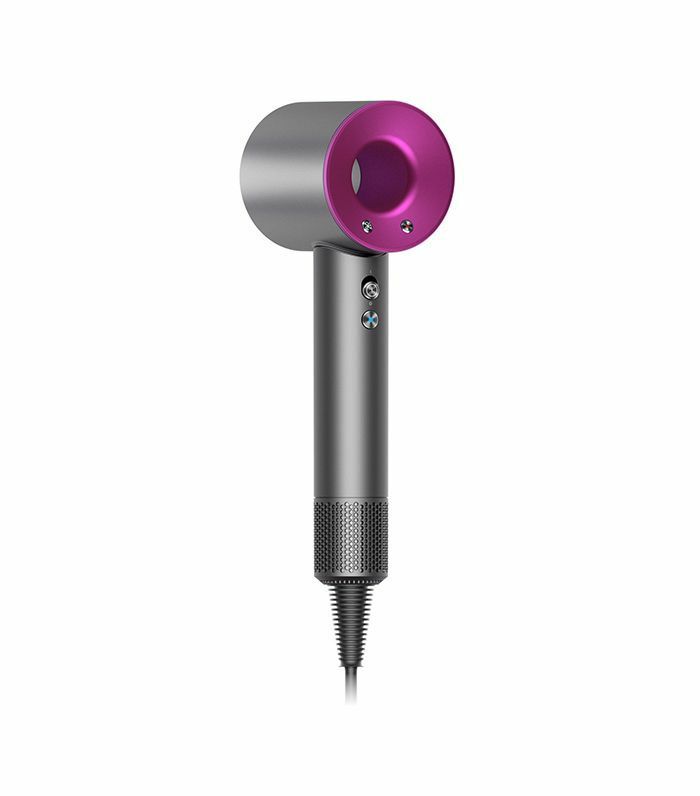 2 are done in-salon and help rebuild and reverse damage and breakage as your hair sits) and picking up a bottle of No. 3 to take home with you. Since Olaplex isn’t technically a protein-rich product (it involves a unique patented ingredient that penetrates on a molecular level), you can’t necessarily overdo it. That being said, Dueñas points out that after a certain point, it’s not really doing much for your hair anymore. (In other words, no need to sleep in the stuff or leave it in all day.) Simply apply it to damp, towel dried hair, gently brush it through using a wide-tooth comb, and then let it marinate for about 20 to 60 minutes before shampooing and conditioning as you would normally. Once a week or even biweekly is the perfect antidote. Pro tip: Though Dueñas says you can probably skip coming to the salon for a treatment, she doesn’t recommend skipping a cut. In fact, she tells me that losing some length is one of the only things you can really do to help salvage the hair—especially after a harsh color treatment. Her rule of thumb: Get a cut or trim immediately (or at least within a week) after getting your hair colored to seal the ends. Then make it a habit to come in about every eight weeks or so afterward. In addition to the Olaplex treatment, Dueñas also stresses the importance of incorporating a high-quality mask into your haircare regimen. Again, you never want to overdo it with these types of products, but they can make a big difference in maintaining the integrity of your hair. To achieve salon-like results at home, she recommends applying your mask to damp, freshly shampooed hair, combing it through to ensure even dispersal, and then throwing a shower cap over it for about 20 minutes. In addition to using the No. 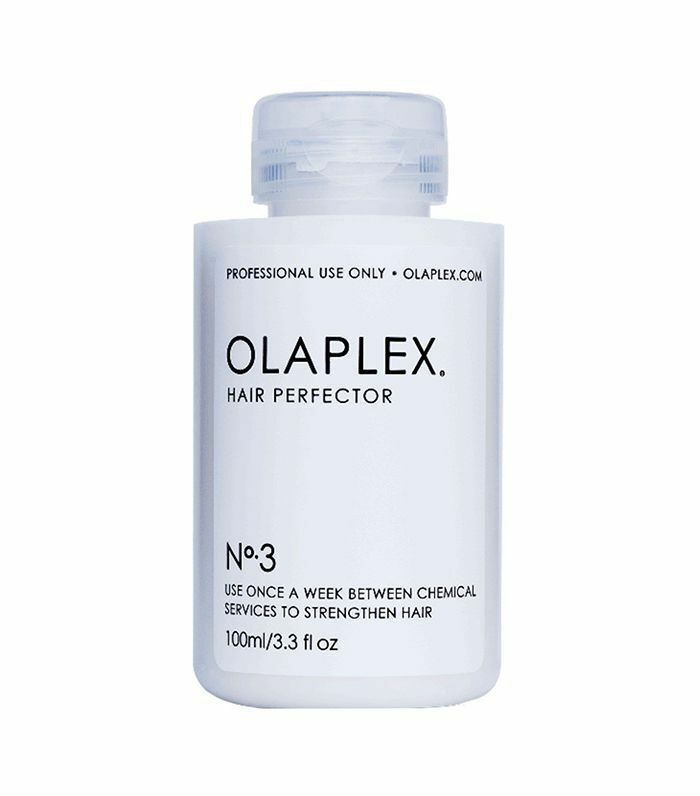 3 Olaplex once every week or two before you shampoo, Dueñas suggests alternating between a protein and moisture mask in lieu of your normal conditioner. 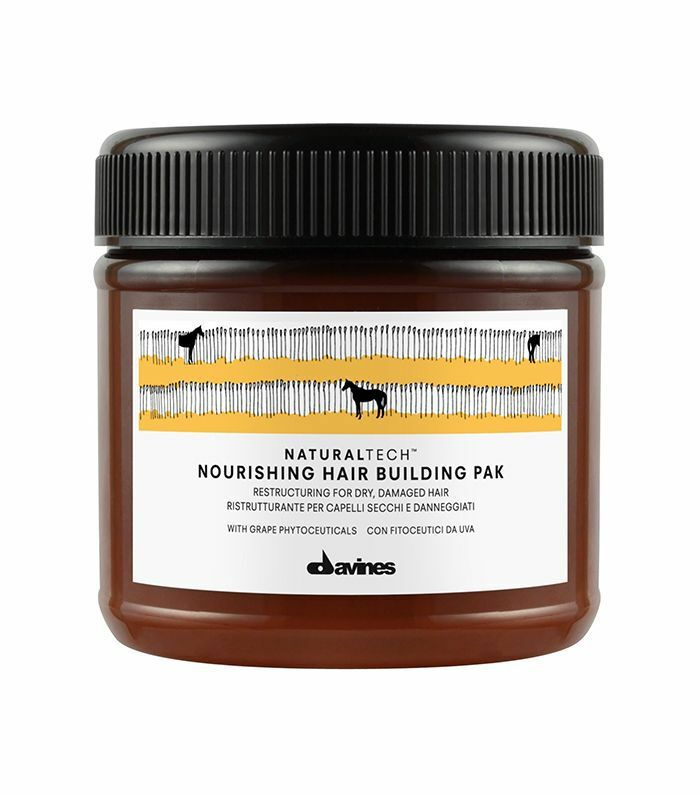 After a few months, you can wean yourself off the protein pick (this one from Davines has been a personal lifesaver) and stick to just using the moisturizing option (Dueñas likes L’Oréal Professionnel Liss Unlimited Smoothing Mask $29) once every few washes. When it comes to caring for damaged hair, a simple styling strategy will ultimately be in your hair’s best interest. Therefore, finding quality products that can kill two (or three or four) birds with one stone is key. To keep it simple, and damaged hair happy, Dueñas recommends using Unite’s leave-in conditioner. (She first recommended the product to me when I came to her a couple of years ago and I’ve been hooked on the stuff ever since. It’s become my new go-to leave-in spray for optimum hair health. The only other product Dueñas really recommends as you nurse your bleached hair back to health? 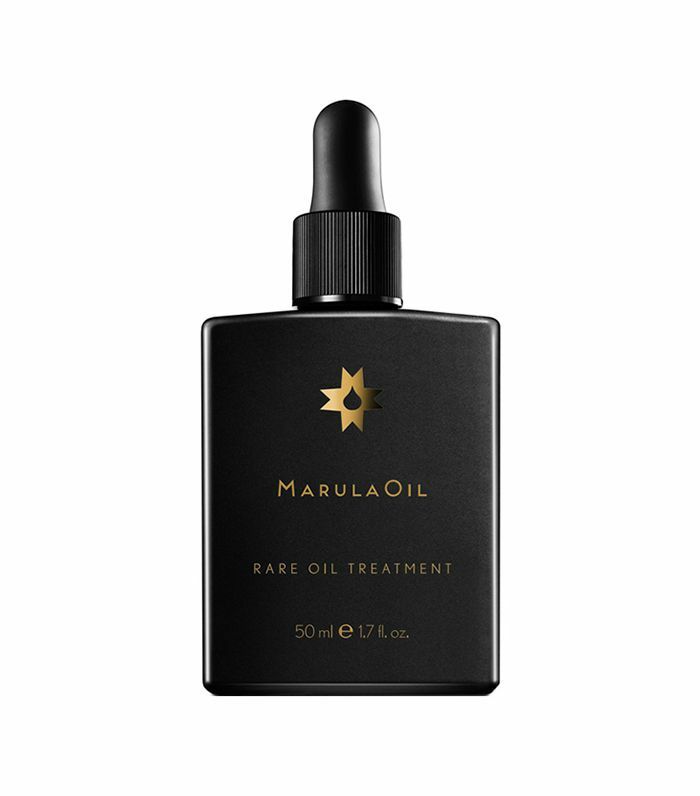 A high-quality *clear* oil like this transformative formula from Paul Mitchell’s MarulaOil line. Unlike other oils like argan (which can be tinged yellow and stain bleached hair) or coconut oil (which has a hard time penetrating the follicle), Dueñas tells me that MarulaOil has the unique capability of penetrating deep into the hair’s cuticle for ultimate healing and repair. So in addition to spritzing in a do-it-all leave-in like Unite’s, Dueñas also suggests running two to three drops of oil through damp ends post-wash and pre-style, as well. Though my own bleaching disaster conveniently coincided with my spring and summer breaks, I had the luxury of allowing my damaged strands to air-dry for months on end. However, as Dueñas points out, sometimes you can’t completely forgo a styling routine—especially if you work in a professional environment and don’t have a natural texture that lends well to an au naturel dry. 1. Avoid overlap during processing: “Overlapping the bleach is the most common reason for disastrous damage,” says Dueñas. And apparently, this was likely the main culprit behind my previous bleaching disaster. (The stylist had applied bleach over my entire head right after a full highlight the same day.) However, Dueñas also shares the importance of minding your hairline (where we have super-fine hairs) and being mindful of how long color is sitting on each section of the hair. 2. Mind the way you style: This one might not come as a surprise, but it’s important nonetheless—be careful with your ponytail habit. Not only can pulling a ponytail too tight (or wearing one to bed) cause breakage around the hairline, but it can also weaken the section of the hair secured with the tie. If you must wear your hair up, go for something soft like these favorites from Emi-Jay ($18). 3. Patience is a virtue: Although my colorist back in 2013 should never (and I mean never) have bleached right on top of my highlights, I still partly take the blame. I had been getting my hair highlighted for long enough so that I knew how damaging and irreversible the consequences could be, and yet I let my impatience get the better of me. I wanted a fix right then, and the colorist picked up on that panic. Which led to her panic, which then led to a whole lot of inappropriately applied bleach, which ultimately led to the mother of all panic: horribly damaged hair. “If you have just received a lightening service and you’re not happy with the color or something needs to be adjusted, it’s best to wait at least a couple of weeks so that your hair can get a break—you just can’t highlight your hair so close together in time. Instead, wait it out and then go back and see what the options are for color adjustment without using bleach. There are plenty of ammonia-free options that can brighten or change the tone,” says Dueñas. 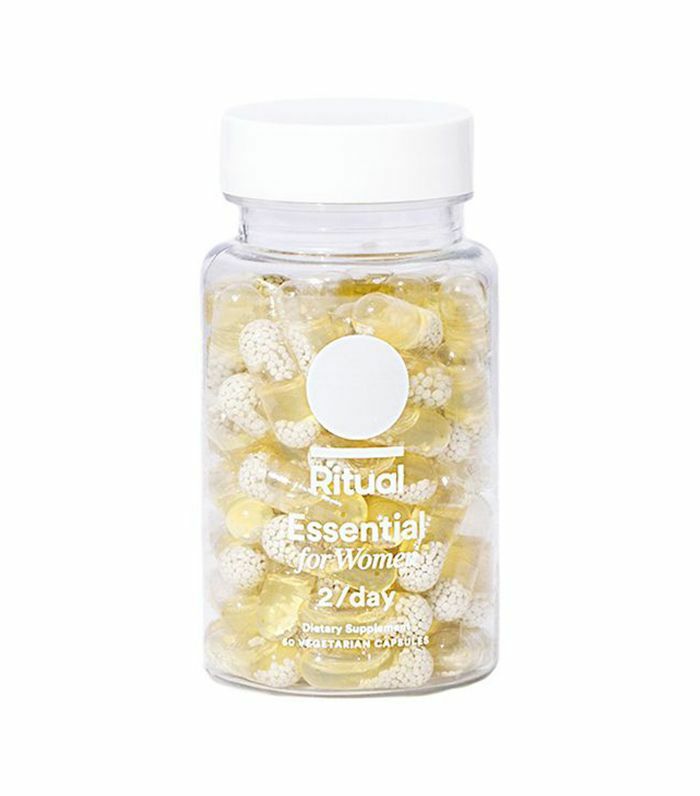 Even though I’ve had an off-and-on relationship with supplements and vitamins over the years (and have also tried plenty of hair vitamins), this pretty capsule from Ritual is one that I just won’t quit. In fact, since starting the monthly subscription, I’ve had a number of stylists comment on how different my hair feels. Specifically formulated for women, it delivers a high-quality hit of only the most essential vitamins and minerals we need for optimum health. And as a bonus, my hair, skin, and nails have thanked me. 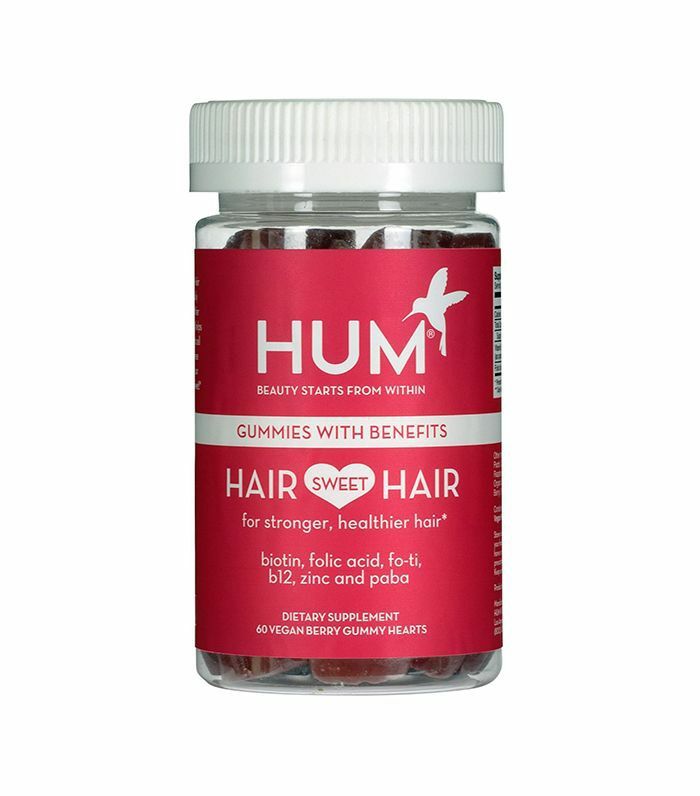 Maybe it’s because other well-known hairy gummy brands have left a bad taste in my mouth (both literally and figuratively), but I just could never get behind them until I tried this version from HUM. Not only do they taste amazing (believe me, it’s hard to stop at just two per day), but they’re also infused with biotin, B-12, folic acid, PABA, zinc, and fo-ti extract, which makes for a health- and growth-promoting powerhouse. Sorry, but if you have blonde hair, water can be the most frustrating of enemies, thanks to grime, minerals, and chemicals that expedite brassiness, dehydration, and breakage. So after a colorist in my college hometown recommended using a filter in my shower (more than once) to preserve my hair’s color and integrity, I made the leap and have been a believer in the investment ever since. 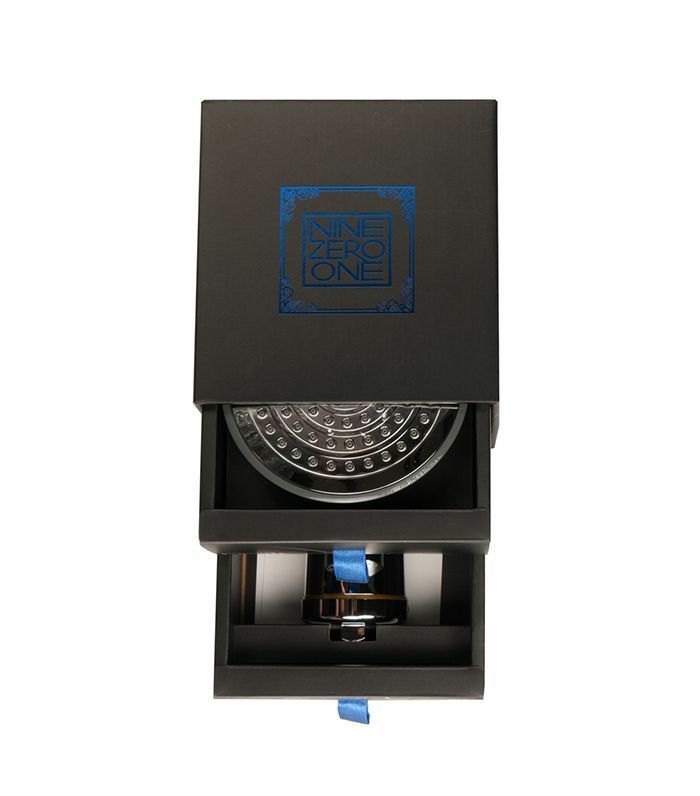 Nine Zero One has an amazing option called the Raindrops Luxe ($120), which boasts a thorough, six-step filtration system and an easy breezy setup. 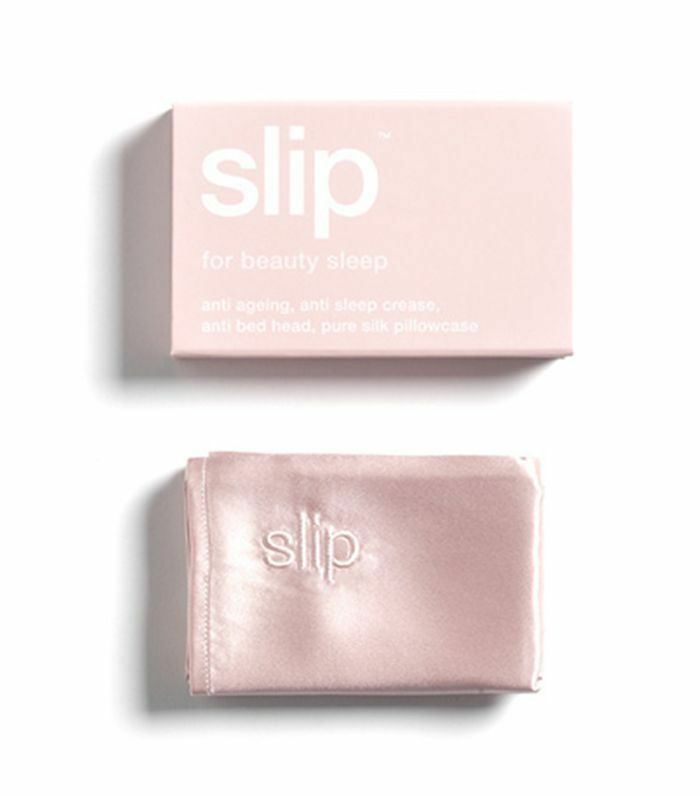 In all honesty, I didn’t believe the hype of a silk pillowcase until I tried it. Yes, $80 is an investment, but it’s a worthy one where your hair is concerned, especially if you have super-lightened strands. Made from the highest-grade mulberry silk, this kind of pillowcase wins out over cotton cases of hair nightmares past, as it lets your hair slip and slide over the case instead of stretching, pulling, and breaking. Not only do my blowouts last longer since making the switch, but I’ve noticed significantly fewer broken-off hairs around my hairline.